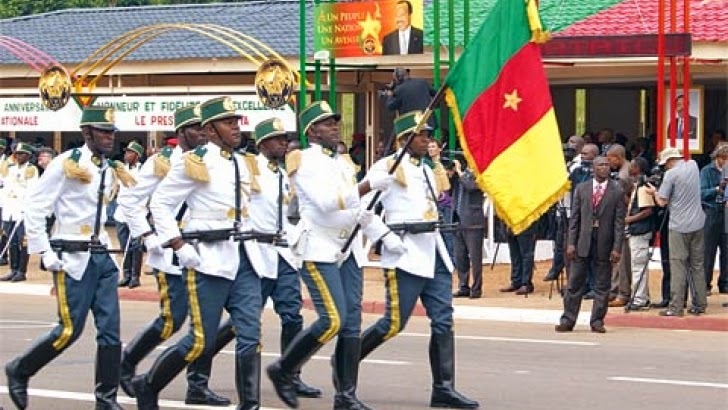 The President of India, Shri Pranab Mukherjee has extended his greetings and felicitations to the Government and people of the Republic of Togo on the occasion of their National Day (April 27, 2015). In his message to H.E. Mr. Faure Essozimna Gnassingbe, the President of the Republic of Togo, the President has said, “On behalf of the Government, the people of India and on my own behalf, it gives me great pleasure to convey to you, to the Government and to the people of the Republic of Togo warm greetings and felicitations on the occasion of your National Day. India and Togo enjoy warm and friendly relations. I am confident that our bilateral engagement will further strengthen in the years ahead to our mutual benefit. Please accept, Excellency, my good wishes for your personal health and well-being as well as for the progress and prosperity of the friendly people of the Republic of Togo”. A delegation of 46 beneficiaries of “Limb for Life Mission 1000” of Yuvak Pratishthan, Mumbai (Maharashtra) along with their escorts called on the Vice President of India Shri M. Hamid Ansari here today. This project provides Free – Modern/Electronic Artificial Limbs to Handicap/Accident victims. The delegation was led by Dr. Kirit Somaiya, Member of Parliament from Mumbai in Lok Sabha. Interacting with the members of the delegation and their escorts, the Vice President encouraged all the members of the delegation and wished them a successful life ahead. He congratulated the Yuvak Pratishthan, Mumbai for their noble effort for the physically disabled persons and accident victims. The senior officers of Ministry of Social Justice & Empowerment and its subordinate offices were also present on the occasion. The President of the International Olympic Committee, Mr. Thomas Bach, met Prime Minister Narendra Modi today. Mr. Bach and Prime Minister Modi noted with concern, the rising trend of conflict, civil war and terrorism around the world. They agreed that sports is a powerful unifying force that can unite humanity and society. The Prime Minister said sports is essential for any country to inculcate sportsman spirit among its citizens, which serves as a strong bond for the society. The Prime Minister spoke of India's humanitarian approach in dealing with recent tragic incidents in the neighbourhood, including the earthquake in Nepal. The Prime Minister also mentioned how India had assisted in the evacuation of citizens of 48 countries, including Yemen. He said India is the world's youngest country, and has the maximum potential for growth of sports. The Prime Minister sought the IOC President's support in making India a hub of sports infrastructure, sports technology, and sports equipment manufacturing. The Prime Minister expressed his intention to promote India on the global sports map. The Minister of Foreign Affairs and Cooperation of Spain, Mr. Jose Manuel Garcia – Margallo y Marfil called on Prime Minister Narendra Modi today. Minister Garcia-Margallo requested India’s assistance in evacuating Spanish nationals from the Earthquake-hit Nepal. Noting that India was committed to helping all nations affected by the tragedy, Prime Minister Modi assured him of all possible assistance for Spanish nationals. Prime Minister Modi and Minister Garcia-Margallo discussed possible avenues for cooperation in the sectors of Railways, Smart Cities and Renewable Energy. Prime Minister Modi also invited Spanish companies to participate in the “Make in India” initiative and set up manufacturing bases in India to connect with the global supply chain. Congratulating Spain on their election to the UNSC for a non-permanent seat for 2015-17, Prime Minister Modi urged Spain to take the lead in coordinating international efforts to combat terrorism. Prime Minister Modi accepted the invitation of Spanish Prime Minister to visit Spain in 2016. The Prime Minister, Shri Narendra Modi, has donated one month's salary to the Prime Minister's National Relief Fund, for assistance to those affected by the recent earthquake. The Prime Minister, Shri Narendra Modi, today met about 50 beneficiaries who have been provided artificial limbs by the Yuvak Pratishthan, Mumbai. Shri Kirit Somaiya, MP, who accompanied the young beneficiaries, informed the Prime Minister that these limbs have been manufactured with state-of-the-art technology, which provides a relatively high level of agility. The Prime Minister interacted with the beneficiaries, and was impressed with their self-confidence, enthusiasm and spirit. He appreciated their courage in the face of adversity, and wished them well for their future endeavours. The Speaker of the Lok Sabha, Smt. Sumitra Mahajan, the Union Minister for Social Justice and Empowerment, Shri Thawar Chand Gehlot, and Union Ministers of State Shri Vijay Sampla and Shri Krishan Pal Gurjar were present at the meeting. Indian open-water swimmer, Ms. Bhakti Sharma, called on the Prime Minister, Shri Narendra Modi today. Ms. Bhakti Sharma had recently set a record in open swimming in Antarctic waters. The Union Government has revised the guidelines for the National Disaster Relief Fund. Under the revised guidelines the quantum of compensation has been hiked from Rs. 1.5 lakh to Rs. 4 lakh, in the event of death due to natural calamity. Accordingly, the next of kin of those who lost their lives in various parts of the country due to the earthquake on 25th April, shall receive an enhanced compensation of Rs. 4 lakh from the National Disaster Relief Fund. This is in addition to the compensation of Rs. 2 lakh from the Prime Minister's National Relief Fund. It implies that the next of kin of those who perished in the tragedy will now receive a total compensation of Rs. 6 lakh. In addition to these measures, a compensation of Rs. 50,000 from the Prime Minister's National Relief Fund has also been announced for those who were seriously injured in the earthquake. Minister of State(MoS) for Social Justice and Empowerment, Shri Vijay Sampla, today called on the Prime Minister, Shri Narendra Modi and presented him a cheque of Rs. 2 Crore towards Prime Minister Nation Relief Fund (PMNRF) . The amount was contributed by the readers of the newspaper "Dainik Savera Times". The Prime Minister, Shri Narendra Modi has greeted the people of Netherlands, on the occasion of King's Day. "On King's Day my greetings to people of Netherlands and warm birthday greetings to King Willem-Alexander. I wish him a long life and good health", the Prime Minister said. The Prime Minister, Shri Narendra Modi has conveyed his best wishes to the people of Togo, on their National Day. "I convey my best wishes to the people of Togo on the occasion of their National Day", the Prime Minister said. The Prime Minister, Shri Narendra Modi has greeted the people of South Africa, on their Freedom Day. "Greetings to my sisters and brothers of South Africa on Freedom Day. This is a day that celebrates hope and optimism. On Freedom Day we remember the beloved Madiba, an inspiration and a harbinger of change who strived to bring a better tomorrow for his people", the Prime Minister said.